Tom… your blog on this matter has touched my heart. Last month Candy and I had to move my Mom into an “assisted care” facility. Mom’s body is weak and her mind has failed her in ways that make me cry. She has always said “getting old is not for the weak.” I believe her. So this mother’s day will be special for all of us. The face is the same, the smile is the same, but Mom “has left the building.” I am happy you have fond memories of your Mom like I do…. perhaps some day it will ge better! What you’re going through isn’t easy, Mike, but your mother is fortunate to have you and Candy looking after her. No matter what state her mind may be in, I’m convinced she can see the “I love you” in your eyes. That’s a moving and unusual Mother’s Day story, T.A. Thank you for posting it. 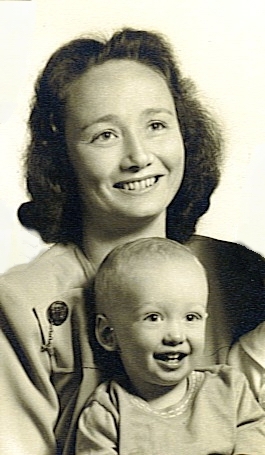 I know you’ll be thinking of that lady tomorrow–and Sally will be thinking of her more recently departed Mom. Both of you are evidence of what good mothers they were. Lovely post. Can’t stop crying. As you may remember, Jen, she tried to be humble in all things. She did make an exception for you, your brother, and your cousins — she allowed herself to be very proud of you.